Create outdoor environments that reflect the natural beauty of your property while also providing an exceptional place to relax and entertain. Marry the wishes of the client to the environment in which they reside. From our first consultation, through the design process, during the installation phase, and then completion of your project … you will observe and understand the Peter A. Jerrom Landscapes (PAJL) dedication, experience, creativity, and respect that we exhibit with your investment. Country Club EP Henry patio, a peaceful place to enjoy the 19th hole! 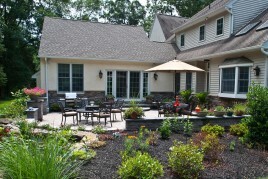 Landscape designers working throughout the Bucks & Montgomery Counties have a diverse array of environments to work in. No matter the terrain, PAJL landscape contractors create designs from pool landscaping ideas, flower bed designs, and backyard landscape designs that are developed during step one of Our Process. Our core area is Central Bucks County and the surrounding areas. This extends over to the Delaware River and over through Montgomery County. 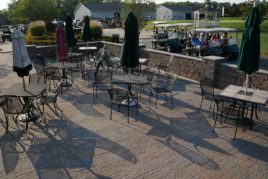 Paver patios have grown exponentially in recent year with the diversity of styles, durability, and looks. 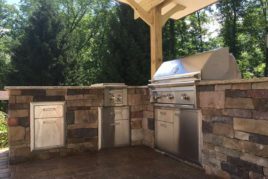 Depending on the application and theme, natural stone patio designs or brick patio designs may be a better fit to your home environment. 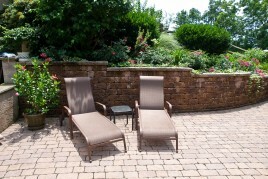 Your outdoor living space will be defined, created, and installed as the best fit for you. 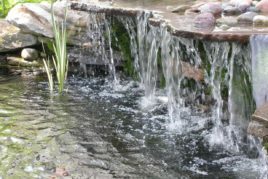 As basic as a small garden design, front garden design, or a full property landscape design, to creative water gardens, the term garden design can cover them all. Garden layout ideas capture the beauty of the home with compliments of flowering trees, shrubs, and perennials. 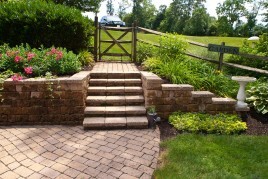 We look forward to working with you to create a beautiful outdoor environment for your home. 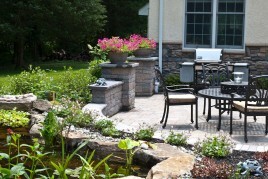 Create a beautiful outdoor space a with professional landscape designer. 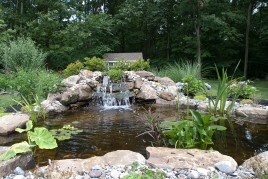 Peter A. Jerrom Landscapes, Inc. got its start in 1999 after Peter earned his degree in Landscape Design and Constuction from Pennsylvania College of Technology, a Penn State affiliate. From the beginning, Peter emphasized to his staff the importance of knowledge, respect, and maximum efforts to fulfill their clients dreams. 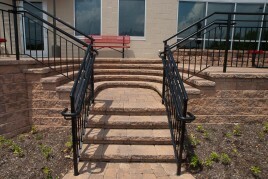 Providing high quality materials and superior craftsmanship are key components to their success. 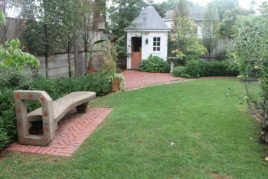 Peter A. Jerrom Landscapes, Inc. specializes in custom landscape designs, construction, and maintenance of fine landscapes throughout the Bucks & Montgomery County areas. 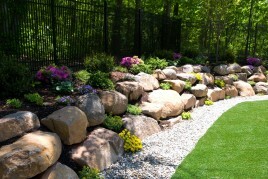 Peter A. Jerrom Landscapes, Inc.